We take the time to get to know how you want to invest based on where you are now, and where you want your money to take you in the future. 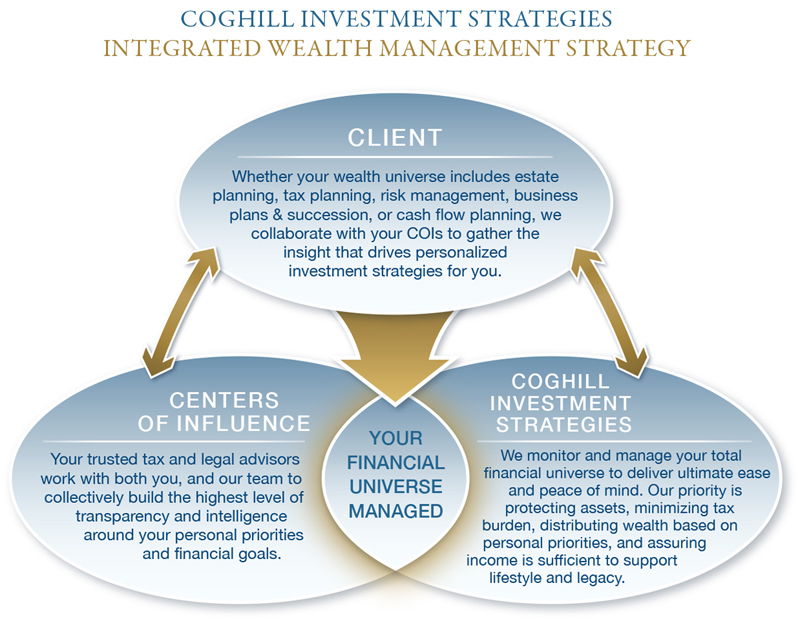 Whether you are still working, retired, an empty nester or expecting children, your unique life circumstances deserve a personalized wealth management design. We work in concert with your trusted centers of influence. Cash Flow Planning: Ensure your income is sufficient to support your lifestyle in a tax-advantaged way. Estate Planning: Preserve your assets and ensure that they go to the people and causes you choose. Tax Planning: Minimize your tax burden. Risk Management: Protect your assets. Business Planning: Anticipate issues specific to your business, shareholder equity, and succession.